Saudi Arabian artist Mashael Barrak has had her character design chosen to be included in an upcoming SNK game after winning a design contest. 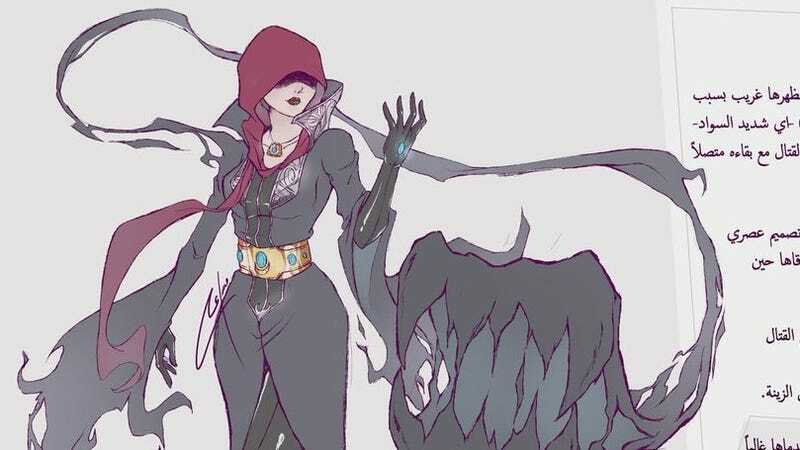 Put on by Manga Productions, her character “Najd” will make an appearance in an upcoming game, though details have not yet been released on what game that will be. Japanese studio SNK is most commonly known nowadays for its fighting games, predominately King of Fighters and Samurai Shodown, as well as arcade titles like Metal Slug. A short video of King of Fighters series director Oda Yasuyuki was released, where he discusses the winning design. The video is in Japanese with Arabic subtitles, however. Other winners in the contest included a new battle arena featuring Riyadh’s skyline, a design that uses a shimagh (headdress) as a weapon, and a fighter who injects petroleum into his nails and lights them on fire with a spark from his ring. You can check them out here.